RIGA --- Finnish company Oy Sisu Auto Ab (Sisu Auto) has been declared winner in a tender to supply armored vehicles to the Latvian National Armed Forces (NAF) for EUR 200 million, but two other bidders have filed complaints, LETA learned. Several sources in the Latvian defense sector told LETA already in November that the Finnish company’s bid would probably be found to be the best. Now, information posted on the Public Procurement Monitoring Bureau’s website confirms that the contract has been awarded to Sisu Auto. However, South Africa’s Paramount International Marketing and US company AM General LLC have lodged complaints with the Public Procurement Monitoring Bureau about the outcome of the tender. The Public Procurement Monitoring Bureau is expected to rule on the complaints by December 20. Representatives of the Defense Ministry would not comment on the complaints to LETA. As reported, the National Armed Forces and the procurement committee tested the following vehicles: GTP 4x4 offered by Sisu Auto, Humvee vehicles offered by the U.S. company AM General, South African company Paramount Group's vehicles Marauder LAV, and Turkish company Otokar's vehicles Cobra. According to LETA's sources at the Defense Ministry, some companies did not meet some of the procurement requirements. For instance, the South African company's vehicles were unable to meet some of the Armed Forces' requirements during the tests. 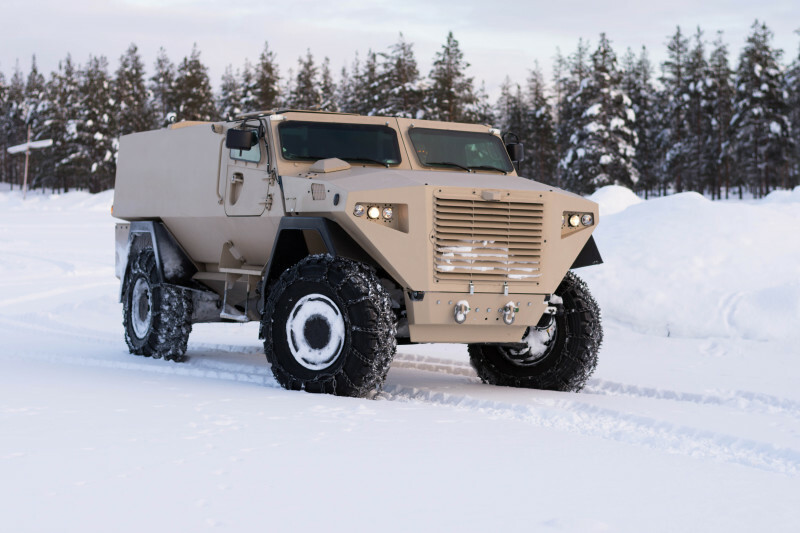 Judging from information available on the Internet, Sisu Auto's vehicles Sisu E13TP are used by the Finnish, Lithuanian and Estonian armed forces. The most popular Sisu Auto vehicle, Patria Pasi is used, for instance, by the armed forces of Austria, Denmark, Estonia, Finland, Ghana, Norway, Sweden, as well as in UN peacekeeping operations. The Defense Ministry originally said that it was planning to sign a ten-year contract with the winning bidder. The ministry explained that the vehicles would substantially improve the National Armed Forces' mobility, and that most of the tactical vehicles at the Armed Forces at the moment were 20 years old and older.